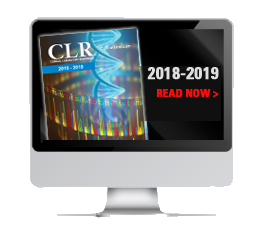 Clinical Laboratory Reference (CLR) is an annual reference guide that includes hundreds of tests, equipment and services for the clinical lab market. It represents Endeavor Business Media's continuing commitment of 37 years to this annual "yellow pages" directory – a convenient, compact print format that serves more than 45,338 laboratory professionals, who recognize the value of CLR as the industry’s only complete resource guide. CLR is updated and mailed to Medical Laboratory Observer (MLO) subscribers each August. It is also distributed at industry trade shows throughout the year. The online version is available as a year-round resource for clinical lab professionals who need to obtain specific tests, products or services.